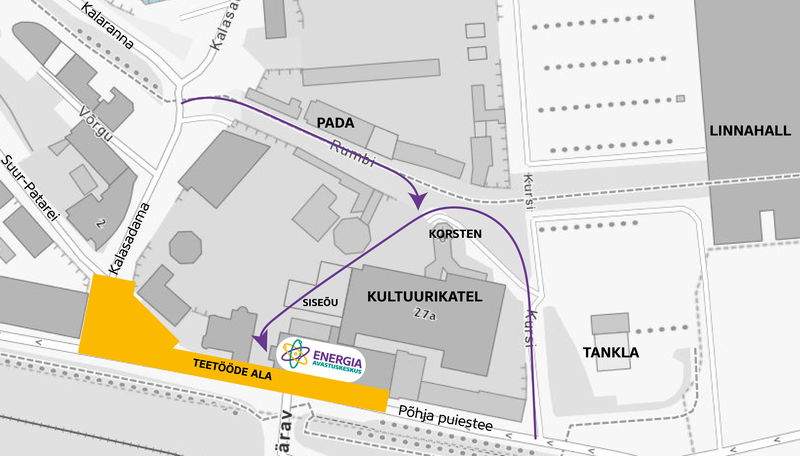 This summer, Põhja puiestee, the main street connecting the harbour to the Tallinn city centre and leading up to the railway station (Balti Jaam), will be undergoing roadworks. As some sections of the road just next to the Energy Discovery Centre are closed, motorists are advised to take alternative routes. 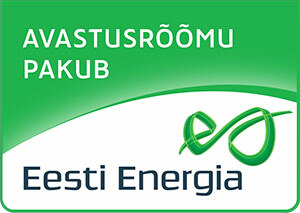 Reaching the Energy Discovery Centre is more pleasant through Tallinn Creative Hub’s open-air courtyard, which is only a short walk away from the Centre. If you’re walking from the harbour and reach the Creative Hub (Kultuurikatel in Estonian), look for the chimney, and walk around it to reach the courtyard. The path has been marked with signs and flags as well. Alternatively, when approaching the Centre from Kalaranna street, take the Rumbi street (previously known as Kultuurikilomeeter, as it is still indicated on map apps) towards the Creative Hub and chimney. Access to the Centre through the courtyard will remain available after the end of the roadworks. During the roadworks, pedestrians are advised to follow temporary traffic signs and street crossings. The Centre will be open throughout the summer at the usual times – from 10:00 till 19:00 on weekdays and from 11:00 till 19:00 on weekends.